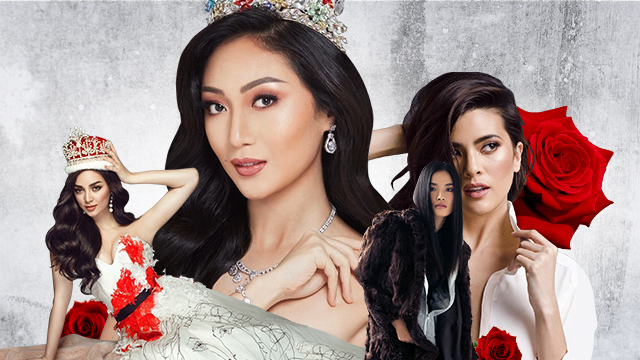 Here's how the Top 3 and Top 5 queens slayed their questions! (SPOT.ph) In case you didn't already know, a new Miss Universe has been crowned! The 2017 title goes to Miss South Africa, Demi-Leigh Nel Peters, who bested over 90 other women for the coveted crown. Question: Women make up 49% of the global workforce. What do you believe is the most important issue facing women in the workforce today, and why? Miss South Africa: In some cases, women get paid 75% [less] of what men earn for doing the same job and [with] the same hours. I do not believe that is right. We need equal work for equal pay for all women all over the world. Question: Social media has become a prominent factor in the way we perceive one another. Do you believe social media has had a postive or negative effect on the way we judge beauty? Miss Venezuela: Social media is what we make of it. We must use social media in a positive way and take away any criticisms. Behind every photo [and] every social media account, there is a good person who can feel, and we all deserve respect. Question: What do you think is the most important social movement of your generation, and why? Miss Thailand: We [have] an aging population, so the most important social movement is the youth. The youth is our future that we have to invest in, because they're the ones who will look after the Earth that we live in. Question: Sexual harrassment has been at the forefront of recent headlines. Why is it important for men and women to work together in tackling this issue? Miss Jamaica: Sexual harrassment is a form of abuse, and no abuse should be tolerated whether in the workplace or in society. I believe that men and women should come together and be professional. Leave this act alone, and anything that happens like sexual harassment should be taken into the law [sic], and should be dealt with. Question: Terrorism is one of the main threats facing our world today. As Miss Universe, you will lead discussions on current issues with communities all over the globe. How would you go about explaining terrorism to a child? Miss Colombia: I've never been a victim or had a family member who was a victim of terrorism. I cannot really explain how it feels to be one of them, but if I had the opportunity to speak to a child, I would tell them that your generation and my generation cannot befall [to] weapons. More books, more culture, more friendship, more love. The Top 3 women, Miss South Africa, Miss Colombia, and Miss Jamaica then had to answer the same question: "What quality in yourself are you most proud of and how will you apply that quality to your time as Miss Universe?" Miss Jamaica: [It is] my drive and determination. I am the founder of a foundation that spreads awareness for the deaf community. This platform is a great platform to let people know that these [deaf] people need equal opportunities like [others]. Miss Colombia: I'm incredibly passionate about everything I do. Compassion and discipline. With compassion, I put my whole self in everything I work at. I've done this as an actress, I've done this as Miss Colombia, and I do not doubt that I will do this as Miss Universe. Miss South Africa: As Miss Universe, you have to be confident in who you are as an individual. A Miss Universe is someone who has overcome her many fears and by that, she is able to help other women to overcome theirs. She is a woman [who believes] that nothing is ever too much to ask for, and I think that is exactly who I am.